Is there any vegetable that roasting won’t make delicious?? 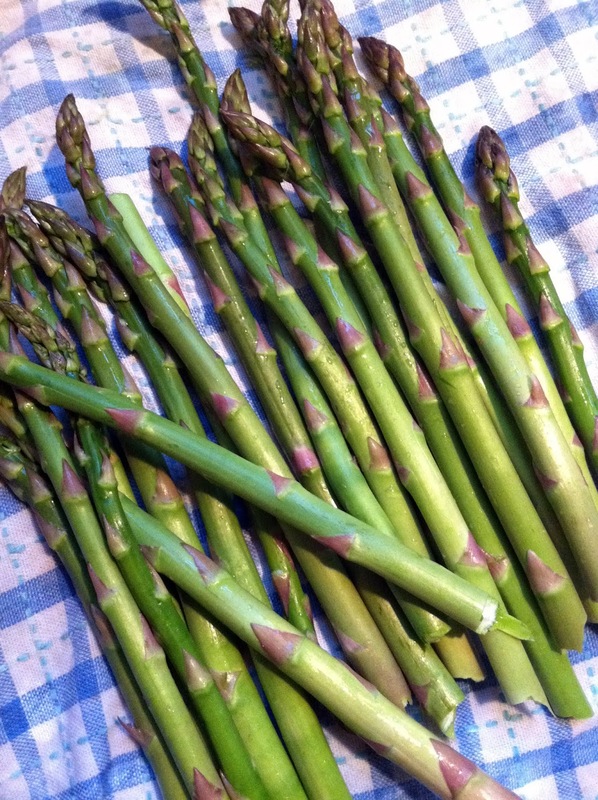 Asparagus is great, but roasting it and adding a bit of lemon takes it to a whole other level. This is one of the quickest, tastiest side dishes you can make. I would eat this for a snack. 2. 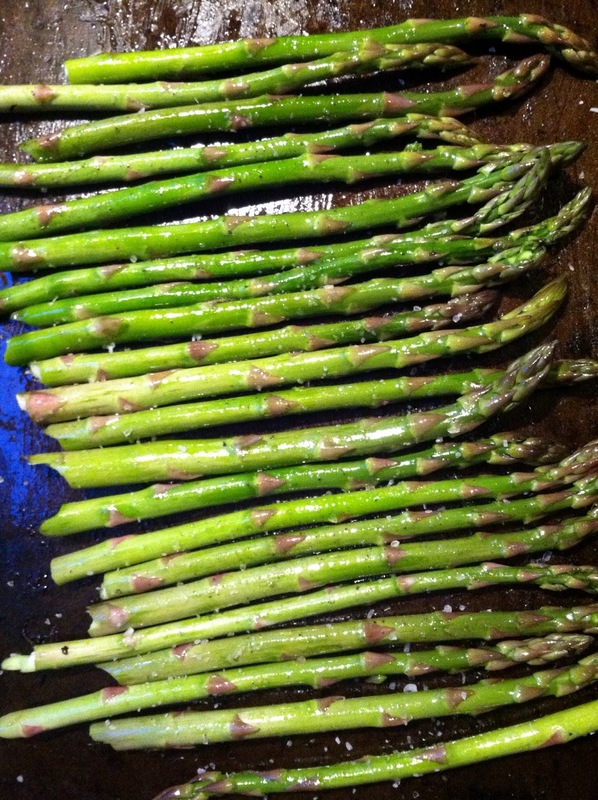 Trim the asparagus – you can kind of just bend them towards the bottom, and the “woodsy” part should snap off naturally. 3. In a large ziplock bag, combine the EVOO, lemon zest, and half of the salt & pepper. 4. 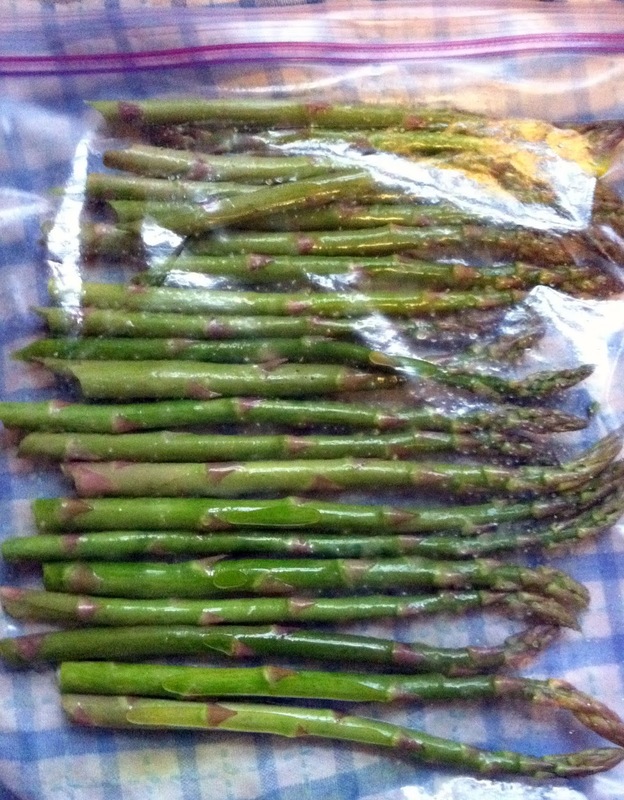 Add asparagus spears to the bag, zip it, and roll the spears around inside the bag so they get covered with everything. 5. 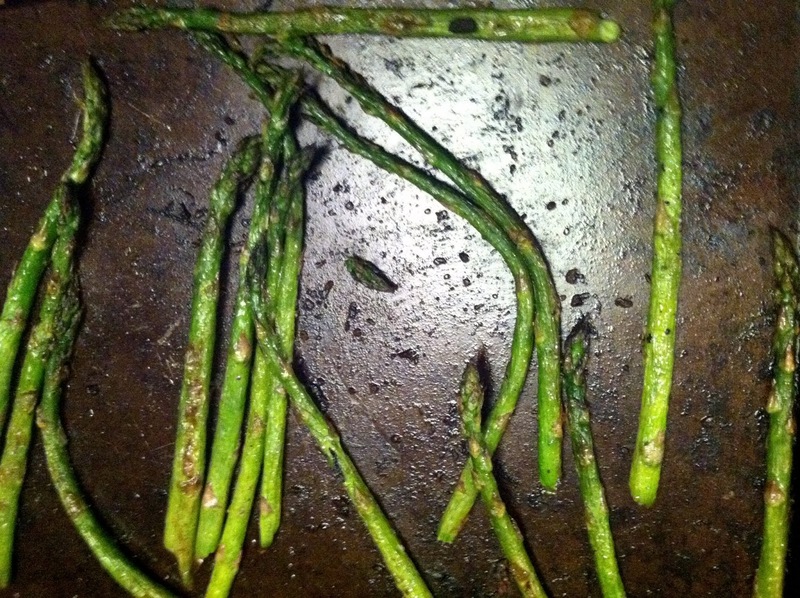 Add asparagus to a roasting pan in a single layer. Top with the remaining kosher salt & pepper. 6. Roast for approx. 10 minutes, shaking the pan about halfway through to get them to roll around a bit and get all sides cooking. 7. Remove from the oven, squeeze a little lemon over them, and serve. 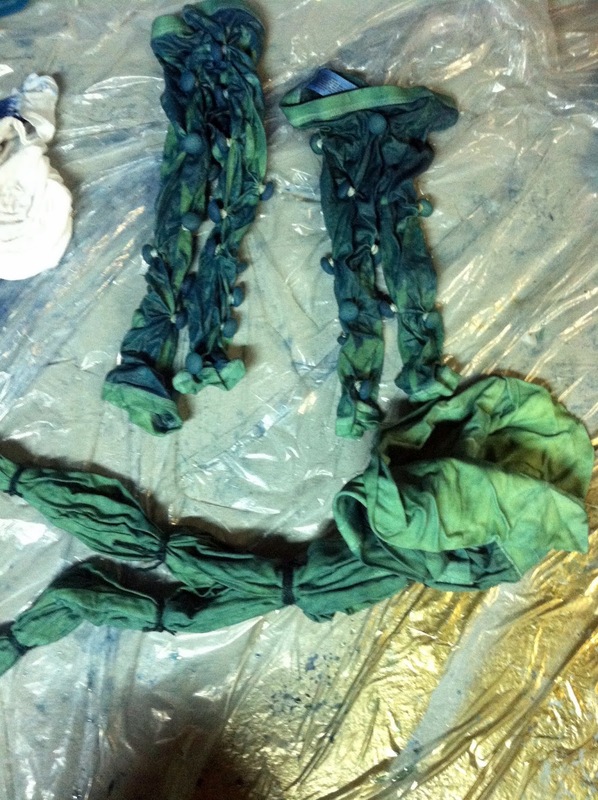 After you dip these, even though the end color is indigo, the pieces come out kind of an acid green. So weird. 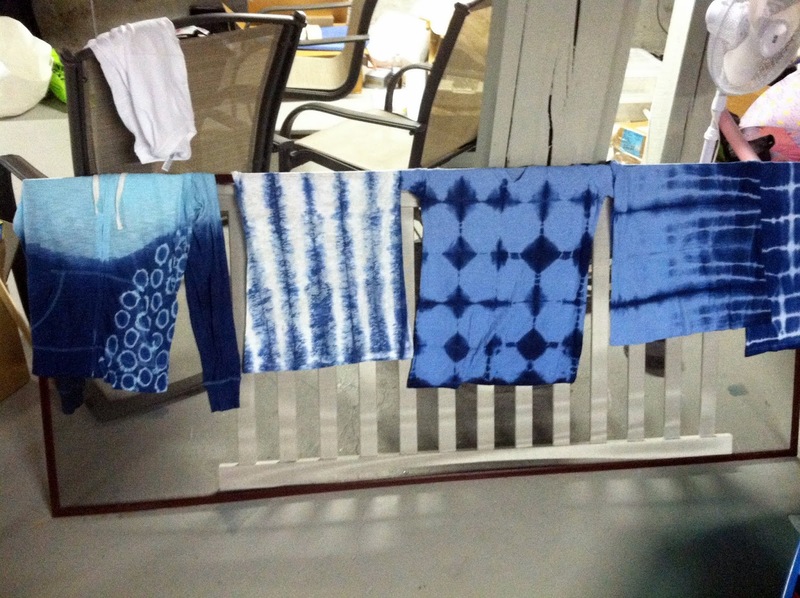 Some of our masterpieces!! This was such a fun, and funny, craft project. Definitely worth the blue-stained fingernails today! 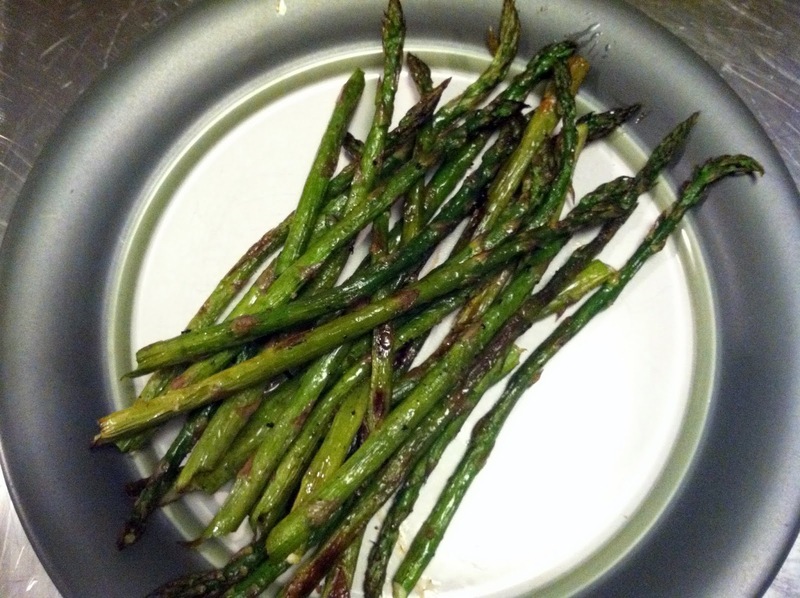 This entry was posted in asparagus, gluten-free, lemon, March recipes, paleo, roasted, shibori, simple, tye-dye, vegetables, vegetarian on March 12, 2013 by westyn.